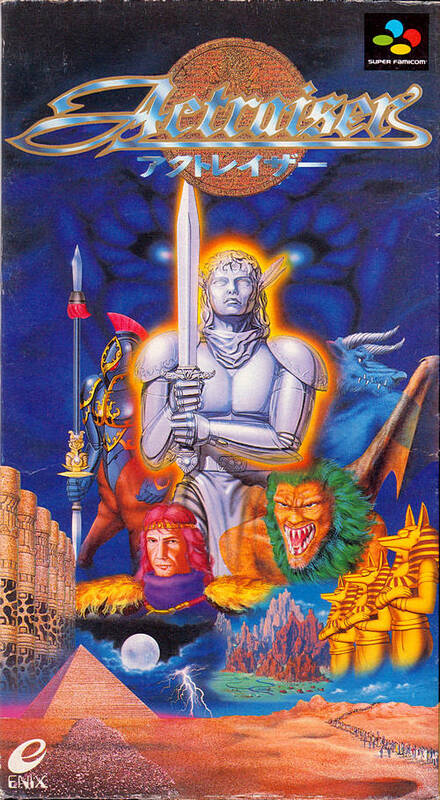 I was reminded recently of the games developed by Quintet in the early 1990s, which deal with various religious themes. 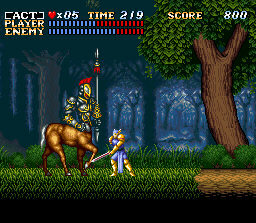 Their first game was ActRaiser, released by Enix for the Super Nintendo. It’s a combination of simulation and action where you play God. This is often loosely the case with many simulation and strategy games, but here it’s quite blatant. It was censored somewhat for the American release, calling your character the Master and your adversary Tanzra, rather than simply God and Satan, but the general idea remains. You monitor the world from a flying castle with an angel to assist you, helping or hurting the citizens of towns that grow up during the course of the game. Raining down destruction isn’t always just something you can do if you want to be a jerk, but is required for building up the best settlements. If you destroy the cheaper buildings, the people will build nicer ones. Superman took the same approach in an early comic. I can’t say it’s all that realistic, as actual people would probably just build even cheaper dwellings for their poor. 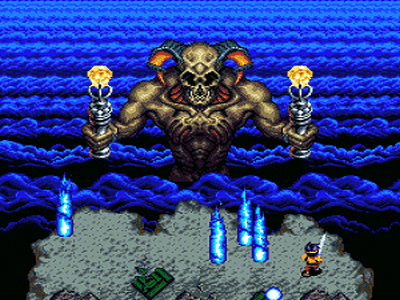 The action comes in with side-scrolling sequences where you incarnate in a statue and fight monsters in order to make various areas inhabitable. There was a sequel with some of the same themes, but they removed the simulation segments and made it purely side-scrolling action, and hence nowhere near as interesting. 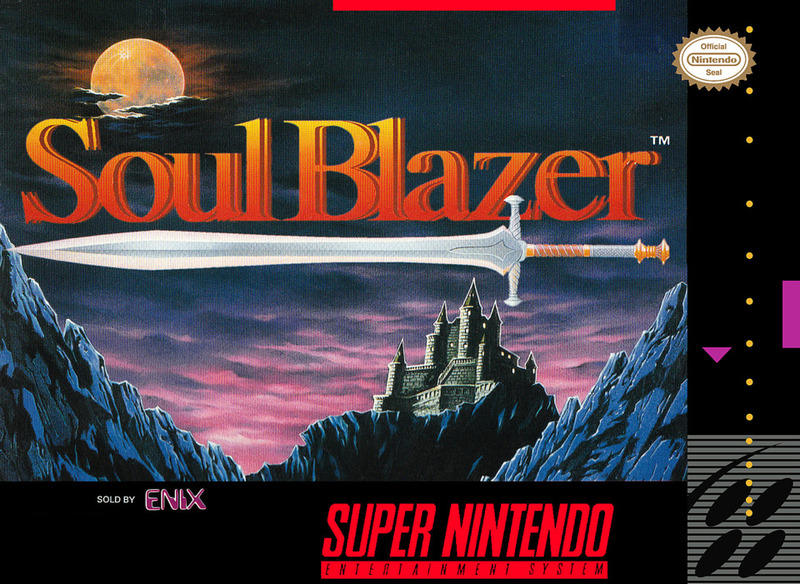 Soul Blazer, known as Soul Blader in Japan (which actually kind of makes more sense, as the hero’s primary weapon is a sword), was not a sequel, but was somewhat similar in execution. Basically an action role-playing game, the hero is an angelic avatar sent to the human world by God to battle evil. The setting is the Freil Empire, ruled by King and Queen Magridd, who sold all the souls in their territory to the devilish Deathtoll in exchange for money. In a rather Animistic approach, not only do people have souls, but so do animals and plants. In fact, even dead plants made into dressers and such have souls. That makes me wonder what the royals were planning on buying with their dirty money. As you fight monsters in dungeons in a top-down view, the living things and their dwellings return to the empire. Two of the main characters are the inventor and artist Dr. Leo and his daughter Lisa, named after Leonardo da Vinci and one of his most famous paintings. The scientist created the machine that enabled the rulers to contact Deathtoll, an airship, and paintings that lead to other worlds. After you beat Deathtoll, with Dr. Leo losing his life in the process, your character asks the Master to make him human so he can live with Lisa. 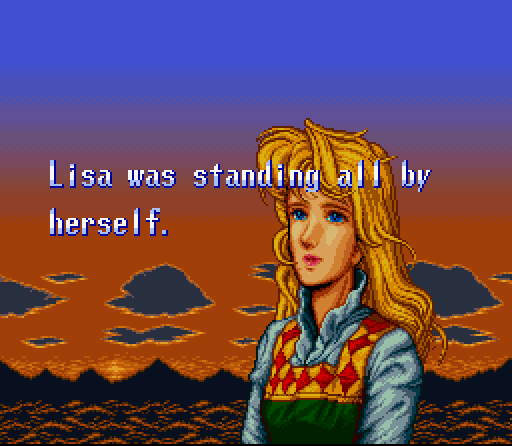 Lisa, who has been touched by the Sovereign of Sorrow and gone insane, plays a role in Captain SNES. 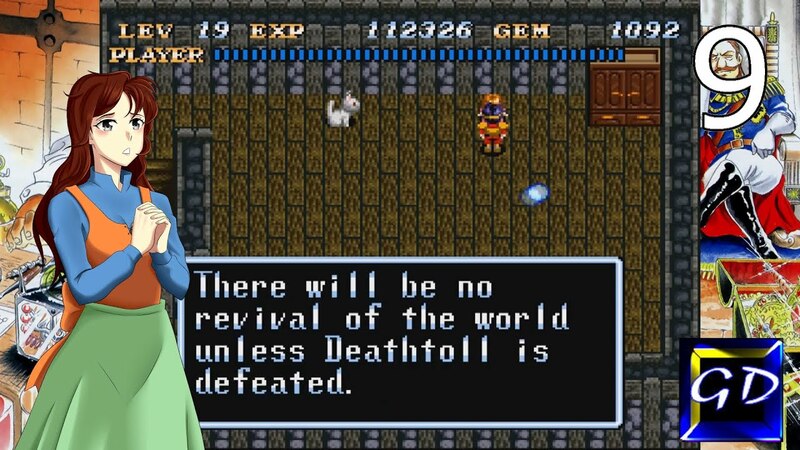 Another Quintet action RPG, Illusion of Gaia (Illusion of Time in Europe), was originally going to be released as a sequel to Soul Blazer. It really isn’t, though, as it takes place in its own world. I think my brother had this game, but I never saw much of it. I did look at the map, and I noticed that most of the locations are ones that exist in the real world, only not in the same places. There are versions of the ruins of Macchu Picchu, Egyptian pyramids, the Great Wall of China, and the Tower of Babel. The evil Dark Gaia has launched a comet that can alter the world and speed up time. The ending of the game has the world change into our own. 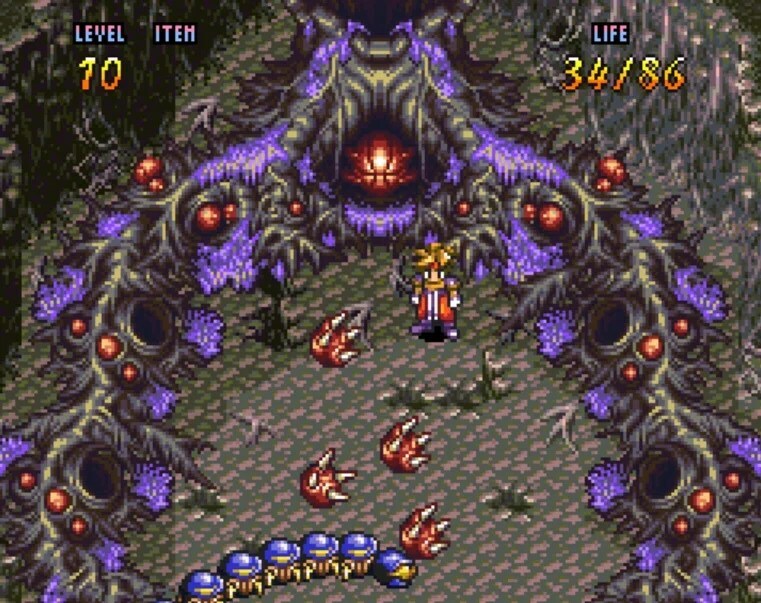 Terranigma, another Super NES game, is loosely considered to be the third game in the Quintet Trilogy. I’ve never played it nor seen it played, but as with the others, it appears to center around related themes without any direct connection. Again, the hero has to restore a world much like our Earth, this time a hollow planet with an underworld on the inside. 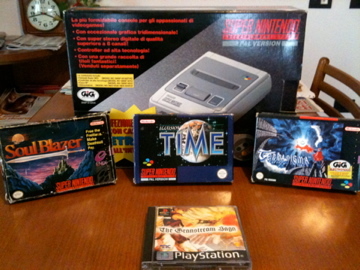 The Granstream Saga, released for the PlayStation instead of the Super NES, is also sometimes considered part of the series. This entry was posted in Animism, Maps, Religion, Uncategorized, Video Games and tagged actraiser, angels, captain snes, deathtoll, enix, illusion of gaia, quintet, quintet trilogy, satan, soul blazer, square enix, tanzra, terranigma, the granstream saga. Bookmark the permalink.